Don't miss this beautiful patio home in central Parker! Located near the corner of Lincoln and Pine, behind Parker Core Knowledge charter school. 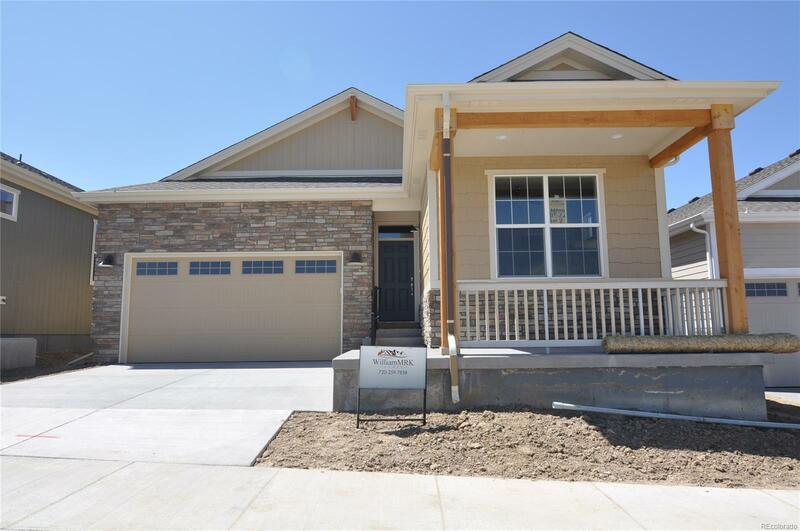 Less than five minutes to downtown Parker shopping, dining, PACE center, and library. Easy access to I25 and E470. Priced with upgrades including hand-troweled wall texture, soft-close cabinets, stainless steel appliances, granite in kitchen, baths, and laundry, ceiling fans, A/C and much more. Metro district maintains front yard landscaping/sprinkler system and snow removal. Sales office is located at 11539 Colony Loop. Call listing agent to learn more about builder and preferred lender incentives!